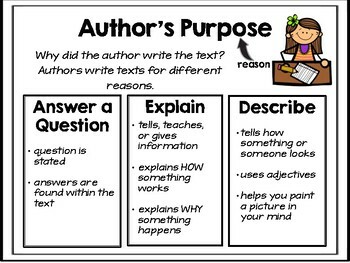 RI.2.6- Use the included anchor charts to teach Author's Purpose to your students. 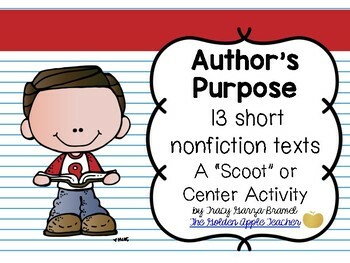 There are 13 short texts for students to read and determine the Author's Purpose- to answer, explain, or describe. Students record answers on Scoot Recording Sheet. 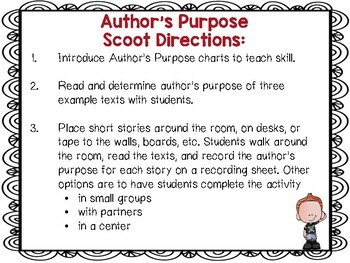 Teacher may place the texts around the room for students to walk around and read as a scoot activity. 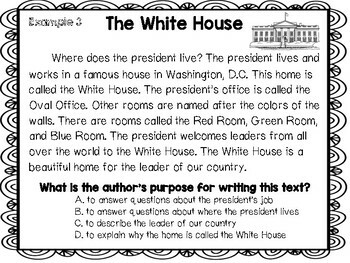 Another option is to have a set of texts for partners or small groups. This would also make an excellent center activity.